UTech, Jamaica to Confer Honorary Degrees On Sir Godfrey Palmer and Hon Lascelles Chin, OJ — UTech, Ja. The University of Technology, Jamaica (UTech, Jamaica) will confer honorary degrees on revered Scientist and Human Rights Activist, Prof. 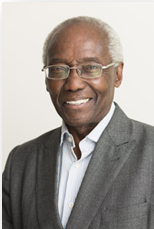 Emeritus Sir Godfrey Palmer, OBE and distinguished entrepreneur and philanthropist, Hon. Lascelles Chin, OJ at its graduation ceremony to be held on Thursday, November 12 , 2015, at the National Arena, in Kingston. Sir Godfrey is Professor Emeritus in the School of Life Sciences at Heriot-Watt University in Edinburgh, Scotland, United Kingdom. Born in St. Elizabeth, Jamaica Sir Godfrey grew up in Kingston before migrating to London to join his mother at the age of 14. Overcoming early educational challenges of being assessed as “educationally subnormal” at his first school, and despite other various difficulties, he completed school in London and excelled at cricket as a member of the prestigious London School Boys’ Cricket team, having learnt his cricketing skills at Race Course, Kingston, Jamaica. Sir Godfrey went on to earn an honours degree in botany in 1964 from Leicester University and later applied to do a joint PhD in grain science and technology at Heriot-Watt College and Edinburgh University. He holds an Hons. BSc. from Leicester University, PhD from Edinburgh University and a DSc from the Heriot-Watt University, United Kingdom. In 1968 he began his research work at the Brewing Research Foundation in Surrey, England where he worked on the science and technology of barley from 1968 to 1977. There he discovered the Barley Abrasion Process (1969) and was the first to use the Scanning Electron Microscope to study malt production in detail. The Abrasion process was patented and used by the British and Brewing and Malting Industries. He has authored a textbook on the subject, titled Cereal Science and Technology. In addition to his active involvement in the science and technology of cereal grain research, Sir Godfrey found it possible to help to secure better education opportunities for Black and Minority Ethnic children in the early 1970s by writing a series of articles for the Times Educational Supplement, explaining the needs of these children. During his working life Sir Godfrey travelled and lectured worldwide and was instrumental in the development of the African/Asian cereal, sorghum, as brewing material and food. On his retirement in 2005 he was made Emeritus Professor of the Heriot-Watt University. He has accepted Honorary Doctorates from a number of Universities and he is a Fellow of various institutions. Sir Godfrey is currently a Fellow of the Institute of Brewing and Distilling of the United Kingdom and was one of the first groups of Fellows to be elected. He gave his Fellowship certificate to the Red Stripe Brewery in Kingston, Jamaica. This outstanding Jamaican is actively engaged in charitable/community work and continues to work to help deprived children on a charitable basis. He is Honorary President of Edinburgh and Lothians Regional Equality Council and Birmingham’s Association of Jamaicans. He also continues to support his past Church and School at North Street/Princess Street in Kingston. In 1998, Sir Godfrey was the fourth person (and at the time the only European) to be awarded The Distinguished American Award for his research on cereals, regarded in the industry as its Noble Prize Award. In 2003 he obtained the OBE (Order of the British Empire) for scientific and charitable work. He was awarded a Knighthood in the New Year’s Honours list of the United Kingdom in 2014 for his work in science, human rights and charity. Hon. 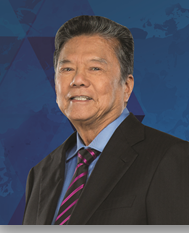 Lascelles A. Chin is founder and Executive Chairman of the LASCO Affiliated Companies where his pioneering work as an entrepreneur and philanthropist has earned him the admiration as one of Jamaica’s and the Caribbean’s most distinguished and honoured business leaders. Born in Bog Walk, St. Catherine, Lascelles Chin, from an early age, demonstrated the skills and attributes which were to make him a successful businessman – hard work, determination, perseverance, clarity of vision and the ability to see obstacles and challenges as opportunities. In1961 at the age of 23, with savings of one hundred and seventy five pounds, (£175) he entered the business sector and began importing black pepper from the Far East and peas from Portugal and the United States. With determination, he was able to overcome many obstacles, including being denied a loan by the bank, to emerge as Jamaica’s largest trader of black pepper. From those modest beginnings his entrepreneurial energy has led him to seek out business opportunities, including early partnership with the German chemical company, Henkel Limited and in a variety of sectors. These have included manufacturing, data processing, car rentals, horticulture, insurance personal care products and pharmaceuticals. Today, the LASCO Affiliated Companies headed by the Hon Lascelles Chin and comprising LASCO Distributors Limited, LASCO Manufacturing Limited and LASCO Financial Services Limited manufacture and distribute over 300 products under the LASCO brand as well as provide financial products and services. These companies, which are known for offering high quality, affordable products, also export to most of the Caribbean, Central America, the United States, Canada and England. Lascelles Chin has served or currently lends his leadership skills to numerous organizations. These include the Jamaica Industrial Development Corporation, (JIDC) as former Chairman, National Productivity Council, Jamaica Exporters Association, (JEA) National Industries Development Company, Bureau of Standards Foundation and Caribbean Community of Retired Persons (CCRP). He was also Deputy Chairman of the Trade Board; Jamaica Promotions Corporation (JAMPRO) and the Jamaica National Export Corporation. He currently serves as a Director on the University of the West Indies School of Nursing Advisory Board and the King’s House Foundation. His business acumen and philanthropy, which has benefitted a wide cross section of Jamaicans, has earned him a number of awards. Among them was his induction into the prestigious Private Sector of Jamaica (PSOJ) Hall of Fame in 2001; the 2005 American Foundation for UWI Award for outstanding contribution to business in the Caribbean and as a Caribbean luminary; the 2004 Florida International University (FIU) Business Leader Award; Jamaica Observer Business Leader of the Year award in 2000, among many other accolades. In 2001 Lascelles Chin received the nation’s 4th highest civilian honour, the Order of Jamaica, for his philanthropy and his contribution to the development of commerce and business. UTech, Jamaica is proud to formally honour these two outstanding leaders who have achieved international distinction in their respective fields of endeavor.